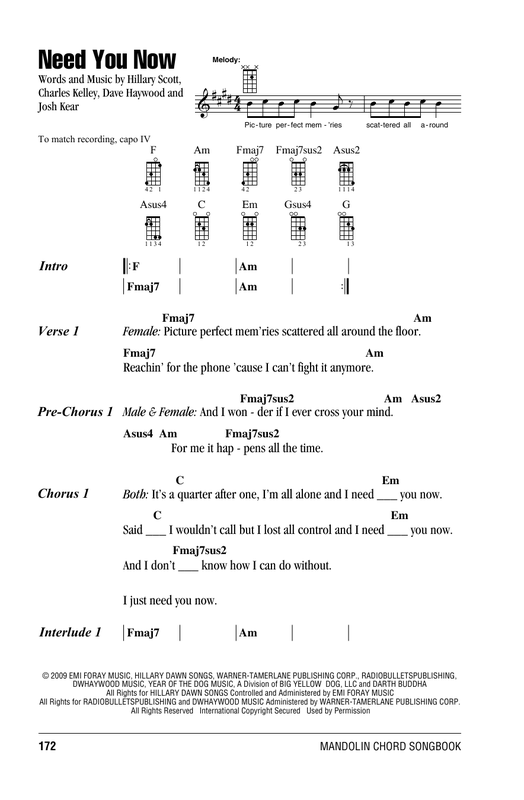 Need You Now mandolin chords and lyrics, as performed by Lady Antebellum. Based on the official, artist-approved versions—the best mandolin chord songs on the web. New to mandolin? Try our beginner mandolin lessons.